When it comes to contributions to the IBM i community, it's hard to find any one more involved than Scott Klement. He is (or should be) a household name in most IBM i shops. One of his more recent offerings to the IBM i and RPG world is a port of the YAJL JSON Parser. Because I've been doing a lot of projects that have been consuming JSON, and I had already written a JSON parser because there was not any available at the time, I hadn't had the need for YAJL (but I did test it when it came out and yes, it's much faster than my parser... I'm guessing because it's written in C instead of RPG). But now I have a couple of projects where we are going to be required to send JSON data to a consumer. So, because YAJL was out there and I know Mr. Klement's work is second to none, I decided to give it a try. And to my surprise it was much easier than expected. I'm sure that being comfortable with JSON already played a part, but even so, it was quite easy to figure out the ins and outs of YAJL starting with the examples provided at Mr. Klement's site. I started with a simple program similar to the example provided named JSONWRITE. But, I decided instead to build the JSON from my customer master file (yes, we store all of our customer data on an IBM i using custom software we wrote!). That proved easy and created a simple JSON file in the IFS. Next, I wanted to make it a little more complex. As you can see, there are 2 extra subroutines created, $Detail and $Keys. They are called before we close the JSON object for each customer. Each builds the detail or license key information for the specific customer we're currently processing. One thing I found right away is it's best to comment the beginning and ending object functions (for objects and arrays) so you know what you're opening or closing. If things get really complex it can be very easy to lose your place as to what you're dealing with! In this example I wanted to make sure I tried the JSON character, numeric and boolean functions and they all worked very nicely. I also tested the escaping of data and that appeared to work as well. So, for your next JSON project, you shouldn't be worried at all! With the YAJL library ported to the IBM i by Scott Klement 99% of the work is already done! 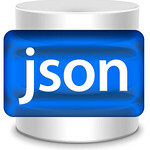 Thank you for your Article Parsing JSON using RPG with Scott Klement's Port of YAJL - Part 3. It had the exact answer that I needed for my project. The vendor that I am getting a file from puts an unnamed array inside a file and sends that JSON file. Using your vehicleList = docNode example, solved my problem of the missing array name. I'm glad it helped! I've been doing a lot of JSON both building and parsing and hope to have more examples soon.